Whitney, Nevada is home of the National Atomic Testing Museum and is filled with a lot of interesting history. Whether you are there to bird watch at the Clark County Wetlands Park or playing your way through the Pinball Hall of Fame, a toothache is miserable. While ignoring it seems like a grand idea, it is vital to get it checked immediately. A tooth pain is an indication that something serious could be going on and getting it looked at promptly may prevent further complications from arising. Whitney is home to many dentists and dental specialists who can help you. 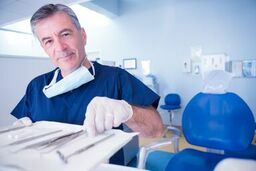 We at emergencydentistsusa.com have a list of local dentists and dental specialists available in the Whitney area. Here you will find a list of general dentists and dental specialists such as oral surgeons, orthodontists, pediatric specialists, periodontists, and more. Go over the lists, choose the dentist best suited to your needs, and give them a call to set an appointment. If you are short on time and want further help, contact our toll-free dentist finder hotline. Our associates at the hotline are trained to listen to you and will assist you in finding the dentist or specialist you need. We can walk you through the process and even schedule your firsts appointment for you. We suggests you arrive 15 minutes prior to your scheduled appointment to give yourself time to fill out paperwork and relax. Bring your ID, insurance papers, current list of medications, copayment amount, and a list of any allergies you might have. There are many dentists and dental specialists available to you in the Whitney area. You can choose from general dentists, orthodontists, implantologists, periodontists, pediatric specialists, and more. Most patients who have a toothache see a general dentist first to ensure that the issue is not serious. If they are not able to fully treat the problem, they will refer you to a specialist who can. Description: Whitney Ranch Dental provides state-of-the-art dentistry for everyone. They offer a variety of services including cleaning, implants, veneers, sedations, periodontal treatment, oral surgery, restorative, and more. The team is motivated to provide the most advanced dental care available. Description: The Center for Cosmetic and Family Dentistry provides high-quality, personalized dental care in a state-of-the-art facility. The staff is friendly and welcoming. They offer an array of dental services including general, restorative, cosmetic, and comfort dentistry. There are several payment options available including financing. The office accepts most insurance plans. If you have pain in your tooth that lasts over an hour, it is time to have it examined. There could be a serious dental problem there that needs proper care to keep it from getting further complications. If the pain you have is associated with an accident, visit the local ER to check for other injuries. Before you go to a new dentist, take a moment to do your research. Check on their license and credentials to be sure they are valid. This is easily accomplished by visiting the Nevada Dental Association website and inputting the dentists name.